Having established a formal relationship with the Mayibuye Game Reserve (Mayibuye Community Trust specifically) in October 2017, the RISE Unit, which falls under the Community, Youth and Development department, has used a ‘learning-by-doing’ approach at the Mayibuye project site, testing methods relating to stakeholder engagement, governance and leadership in line with project objectives. This was an inclusive and collaborative effort on the part of the Mayibuye Community Trust (MCT), project partners of the Mayibuye Game Reserve and the RISE Unit. The aforementioned entails providing a collective of key development and conservation concepts relevant to the desired state for the Mayibuye project. What was identified? What was done? 1. Training in concepts of environment, community, livelihoods, development A ‘Mayibuye’ specific training plan developed in May 2018 which outlines subject areas of interest as identified. This training plan has also informed the way in which the RISE unit will roll out future trainings as and when required. 3. Training in stakeholder identification As part of a process that was formed with the collaborative efforts of the Mayibuye collective, a stakeholder engagement pilot manual for a short course was developed by the RISE unit as a product of the continuous work and training sessions with the MCT. As a result, the manual was piloted as a short course at the college for the first time to the HET students with an addition of five environmental monitors from the Mayibuye project as well as five members of the neighbouring Mnisi Traditional Council community. This was done in August/September 2018. 4. 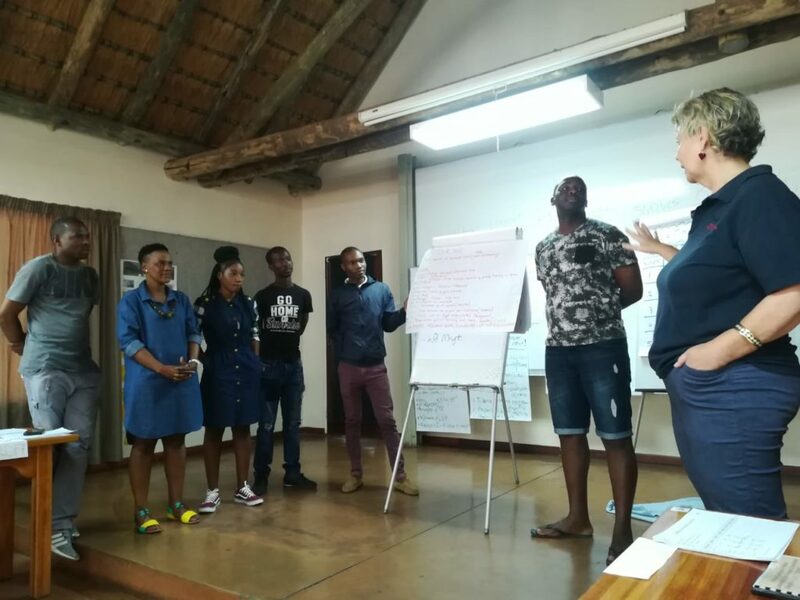 Support tools for stakeholder engagement planning (SEP) The five Mayibuye Environmental Monitors were further coached in using Stakeholder engagement tools as part of the needs assessed for the Mayibuye project.